So are you interested in writing a book and then featuring it on Amazon’s Kindle bookstore, like many others in your situation have. It’s possible to write your very own ebook, starting tomorrow, and then uploading it to Amazon’s library and begin selling it immediately. If you’re wondering how you can do this, then read on. 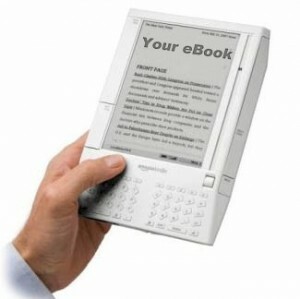 Obviously, before you’re able to list and then offer your ebook to the public, you’ll first need to write it. You may even already be on your way to completing the book, and that’s the reason why you’re reading this. So if that’s the case, then please continue and by all means, complete your book. If you’re yet to begin writing, and wondering what topic to write about, you should then consider your own expertise and life experiences. What in your life do you know or are familiar with that you would love to share with the entire universe, via a Kindle ebook. You may be an expert on cooking French, specializing in sauces, or you’re an accomplished green thumb, or you’ve been in real estate for many years and can share your wisdom. So go ahead, it’s encouraged that you share your knowledge that we can all learn from. If you’re at the beginning stages of writing, and you’ve yet to settle on a topic, then you can go directly to Amazon’s Kindle ebook store, and then look at all the various categories, sections and titles. Nonfiction of all kinds is always popular, as is fiction topics. You should also go and visit your local bookstore, and then check out all of the current bestsellers and topics to see what’s popular these days and find a niche. The easiest way to begin your Kindle ebook career is to start writing about something that you’re extremely passionate about. Say since your kids are still small, you can always write about the adventures and experiences of parenting from your perspective. Or if you happen to operate your own small business from home, you can always write about business “how to” topics, working on your computer from home, or offer time management tips which are always in demand. What’s also happening in your life right now. Are you nearing retirement, or do you have a unique exercise routine, or a weight loss program that you would like to teach others. Do you have some type of knowledge or unique perspective, as well as insight which someone else in a similar situation like yours can use and benefit from. If you know how to tell a story, you know how to write up a good yarn, then you can also publish your short stories, or even feature length novels and place them on Kindle. It’s recommended that you pick a popular genre, such as a whodunit type of mystery or a romance. By all means, go ahead and write your very own novel. You can literally make some money out of thin air, this by just using your active imagination. Say that a friend of yours has grandchildren, and you love to make up stories and tell them to the little ones. You can then get your creative juices going and begin writing down the stories that you tell. The most convenient way to begin is by publishing them on Amazon’s Kindle platform. While you’re in the process of writing your book, you need to make sure that you prepare and format it properly for Kindle publication. The easiest is to just write it in a word processor such as Microsoft Word. Keep in mind that you should avoid any type of fancy formatting when using Word Styles. You’ll need to stick with just the basics. While you’re writing, it’s recommended that on the draft, you add the page numbers so you can then print out the chapters and then proofread them correctly. However, once you’re getting your publication ready to publish on Kindle, you should save the book directly to a new file, and then remove all of the page numbering as well as any fancy fonts if you’re using any. The next step is to save your newly created ebook as a Web page by simply just using the “Save As Web Page” feature that’s in the File menu of Microsoft Word. You can then download as well as install Amazon’s program which is dedicated for creating Kindle ebooks. You should also download the Free Kindle Previewer program as well, which allows you to read your brand new ebook on your computer, exactly how it would appear. When you check your ebook in the Kindle Previewer, and the formatting and layout looks fine, then congratulations, you’re done. You’re then ready to upload it to Amazon for consumer consumption. So in 24 hours or so, your newly written ebook is now ready to sell in Kindle’s bookstore. If you’ve ever been wondering what the process is to write your own book for Kindle, then hopefully this helps.